Ferienpark Mirow - every day a family partyThe park and its beautiful surroundings offer you every opportunity for a varied active holiday in, on and on the water. A popular highlight is the extensive entertainment program for children. From April to October, small and very small tourists can let off steam here. Our trained entertainers offer daily fun and games, action and variety. But that's not all. Archery, mini-golf, pony riding, beach volleyball, cycling or jogging along the lake shore or in the nearby area Draisine driving - you and your children will experience new adventures every day. With all the activities you expect in and around the holiday park Mirow, you could easily forget that holidays are of course also for relaxation. And for this wonderful task, the experts in the oasis of well-being in the Aparthotel Seepanorama are directly responsible for the park grounds. 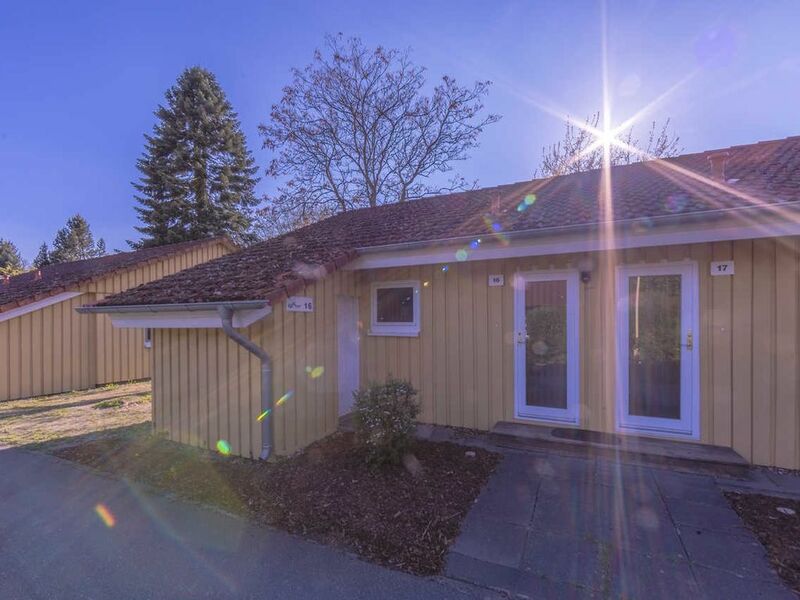 In addition to Finnish bio-sauna, steam bath, infrared cabin, emotional shower, heated seating area with foot bath, relaxation area and relaxation room, you can expect some of the most pleasant wellness arrangements that you can enjoy in Mecklenburg. If you prefer to get a little bit stronger and spend a bit of money, you will also have the opportunity: the fitness area with new, modern equipment from TechnoGym invites you to do so. And also bathed and swum in the Aparthotel Seepanorama all year round. On 85 m² of water, bathing fun awaits both adults and children. Children splash in their own children's pool. You see, we thought of everything for you. Wer Ruhe möchte und den Stress des Alltages entfliehen will, der sollte es hier machen. Natur egal wo man hin sieht. Die Ferienhäuser sind gemütlich eingerichtet. Ein absolutes Highlight ist der Kamin in jedem Haus abends bei Kaminfeuer Sitzen und einfach an nichts denken.